How do the three branches of government work? What are your rights under the Constitution? Who makes the laws? Concordia believes that civics education plays an integral part in ensuring a nation of well-informed citizens. Join us as we salute and explore this vital topic at this year’s event. Each year, the Governor Victor Atiyeh Leadership in Education Awards give us an opportunity to continue the conversation on education, celebrate those making a positive impact, and find inspiration to serve as leaders in change. The proceeds from this event benefit Concordia student scholarships and 3 to PhD®, a public-private collaboration between Concordia University, Faubion School, and Portland Public Schools developed to create safer, healthier, more educated communities. Justin Driver is the Harry N. Wyatt Professor of Law at the University of Chicago Law School and the author of The Schoolhouse Gate: Public Education, the Supreme Court, and the Battle for the American Mind – a Washington Post notable book of the year. A graduate of Brown University, Oxford University (where he was a Marshall Scholar), and Harvard Law School (where he was an editor of the Harvard Law Review), Driver clerked for Supreme Court Justices Stephen Breyer and Sandra Day O’Connor. A recipient of the American Society for Legal History’s William Nelson Cromwell Article Prize, Driver has a distinguished publication record in the nation’s leading law reviews. In addition to his book, he has written extensively for lay audiences, including pieces in Slate, The Atlantic, The Washington Post, and The New Republic, where he was a contributing editor. As the founder and newly retired executive director of the nonprofit organization Classroom Law Project, Marilyn Cover was responsible for developing partnerships with business, legal communities, and civic organizations to support the teaching of civics in Oregon schools. Cover directed programs such as the mock trial competition, We the People program, and youth conferences. 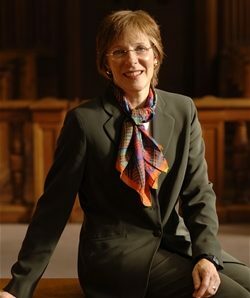 Cover has been a professor at Lewis and Clark Law School since 1979 where she currently teaches the Street Law and Law and Education Seminars. Cover received the 2018 Sandra Day O’Connor Award for the Advancement of Civic Education and holds a J.D. from Cleveland Marshall College of Law. Learn more about 3 to PhD and building a safer, healthier, more educated community. Be part of the Concordia story and help us transform education. Share your photos and stories from the evening using #AtiyehAwards. Relive highlights from the evening in our photo gallery and see if you can find yourself in some of the photos! You can also see what others have posted at Atiyeh Awards Facebook gallery. Join us for a personal tour of Faubion School. Learn more about how 3 to PhD is impacting communities around the corner and across the country. Email 3 to PhD Campaign Director Matt Senecal to schedule your visit.